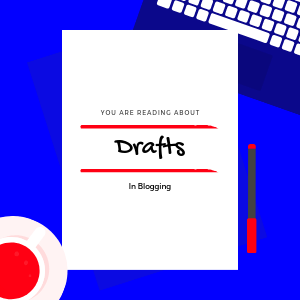 While most of the bloggers would agree, they have always been keeping their “At-The-Moment” thoughts in the form of quick draft, some may agree that they use drafts to keep them focused to quality assurance. You must have landed here to see what drafts can do for and how they can help you to become a pro blogger. 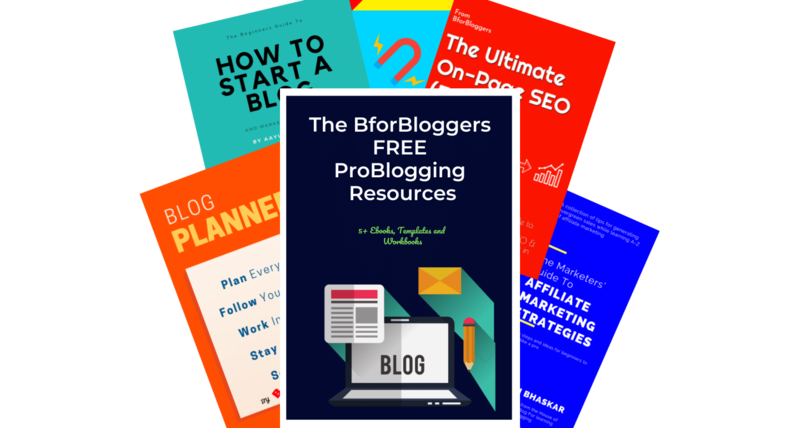 At Bforbloggers, you may find several articles related to blogging tips, WordPress, affiliate marketing, And making web presence. All of these posts are the outcome of great efforts. I must confess, drafts have helped me a lot. If you did visit bforbloggers a month ago, you would have found some old posts having low information and lesser curated, but that was the past. 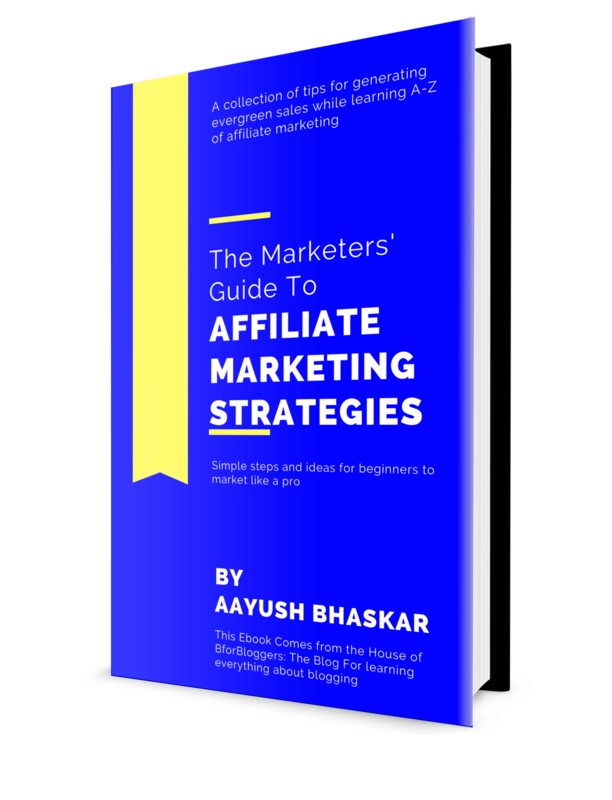 Now we have grown drastically in terms of traffic and email subscribers and I need to focus on quality much more. That’s where the “Drafts” are helping me. I have been keeping my old posts status moved to drafts and looking forward to creating new content on the same topic. If I had simply deleted those posts, I would have agreed to dump them. I might never write about them or do so very late in the future. These drafts help me to keep myself on track. looking at them and thinking to write becomes easy as the plot has already been created. I just need to curate the old posts. Also, note that How drafts help me to store a piece of information right a the moment I think of it. If not done, I might forget and deprecate them. Drafts aren’t meant to be stored in WordPress or online editors only, you can store them in your OneNote, Evernote or Word Editor. 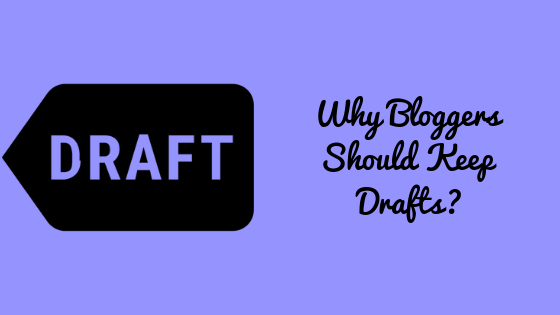 Keeping drafts help you make most out of your blog. You can build up a great piece of content by combining small pieces of curated information. Most of the bloggers struggle to write long articles. We also know that long articles rank higher in Search engine results. Keeping small paragraphs as a draft helps you create long articles if you can’t do it in a single time. Time Management. Not everyone is a full-time blogger. You always have some other work to do. In such cases, drafts keep us on the line and motivated. It’s good to start from where you left than turning up to the beginning. Tell me about your ideas over facts and your success tips in the comments section below.